These guys just want to race! September is here and for those running the 2018 NYC Marathon, their training is in full effect. However for those not running the Marathon, maybe they want to try their hand at some races? Here is a nice list provided to us by a running friend of our, Roy. If you know of a race that you would like to add to this list please reach out to Roy at runnerinchief@gmail.com ! Enjoy the list and happy racing! We should be coming out with a similar list for the month of October in the near future as well! Info: Each Finisher who completes the race by being properly counted at every checkpoint will be awarded a Personalized 6″ Custom Trophy to commemorate their journey! NYC Color Run Takes Place September 15th! Never run a cross country race? Here’s your chance! Location: Riverside Park, 108th St. and Riverside Dr., New York, N.Y. The NYRR Bronx 10 Miler is back for another year! OCTOBER RACES WILL BE POSTED SOON!! This Thursday – Special Queens Group Run! Hey running friends! I wanted to jump on here to tell you about a special group run this Thursday! For this one week our club is heading on over to Flushing Meadow Park in Queens. Why? One of our original members who came to the first ever group runs and was a regular many of the early group runs has become one of the heads of the NYRR Open Run at Flushing Meadows. Melanie will be hosting her first NYRR Open Run on this day and she asked if her club could be there to support her on her first official NYRR Open Run. I think it would be nice to do this so we are headed to Queens! The loop in the park is a 5k but she says runners do it multiple times to get their miles in. There are bathrooms on site and volunteers on hand to watch people’s bags. You can either drive there or take the 7 train. It may be a bit of a commute from the city but its a one time deal for a team member, so hoping folks can troop it out there this one time! • WHEN – Thursday, August 30, 2018. • TIME-Check in is 6:45pm, run starts at 7:00pm! NYRR asks that you signup for the group run by filling out the below form prior to coming to the open run! Thursday Run & The Weekend Rundown! We will be back at Central Park Thursday Night! Good morning to all of you wonderful and motivated runners out there! We have made it to Wednesday and now it’s time to get over the hump! Sometimes you need a little push to do that and we have that for you! Let’s put some running on your calendar for the rest of the week! Thursday – Central Park Run! 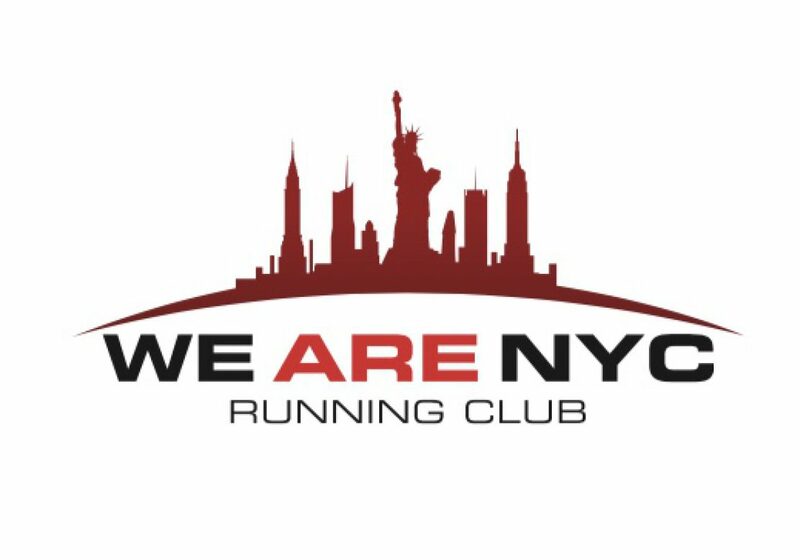 It’s become a staple every week with We Are NYC Running Club since the beginning of 2018. This Thursday we get together once again. We’ve dubbed this run “Positive Vibes, Smiles and Miles” because that is what you can come to expect when you come to one of these! We will be doing anywhere from 5-7 miles in the park on Thursday. As always all paces are welcomed and we will be running rain or shine! One of our members had a vision for years of running from the top of Manhattan Island to the very bottom of it. His dilemma was he wasn’t quite ready to do that and he didn’t want to do it alone. Since joining We Are NYC Running Club, our member Tobias has gotten faster and has built his endurance to be able to tackle the miles needed to carry out this run. Now he wants to share it with you all! The run stats at 7:00am on Saturday at 9th avenue and Broadway starting at the Broadway Bridge. The closest MTA subway station is the 1 Train vía the 225th street station. The run will snake thru Manhattan while hitting several landmarks and nice photo opportunities. The run will culminate at Bowling Green. Total mileage is expected to be around 17 miles. You can join us for the whole thing or for just a portion of it. As always, all paces are welcomed! • OTHER INFO- With as much as 17 miles expected to be run, bring your own nutrition and hydration. Since we are running thru Manhattan you can always stop in at a store to buy water/gatorade. More info on the route that this run will take will be posted on this site by Friday. One thing you can be sure of is that you will get your miles in and you will see some NYC sites while doing it! Tobias along with some of the members during the First Running Tour of Manhattan Run! On Sunday, New York Road Runners will be sponsoring an 8k race called the France Run in Central Park. The race is sold out but you can still come out and cheer on those runners that will be tackling the 8k! Race time is 8:00am! Finally, if you want to sport a team shirt or tank top, those are always available 24 hours a day and 7 days a week on our team store! These nice race day tank tops are on sale now in our team store – see link above!